I’ve often wondered about the origin of the word “carreau”. In petanque, the word carreau refers to the perfect shot, when the thrown boule makes a direct hit on the target boule, knocking the target boule away and exactly taking its place. 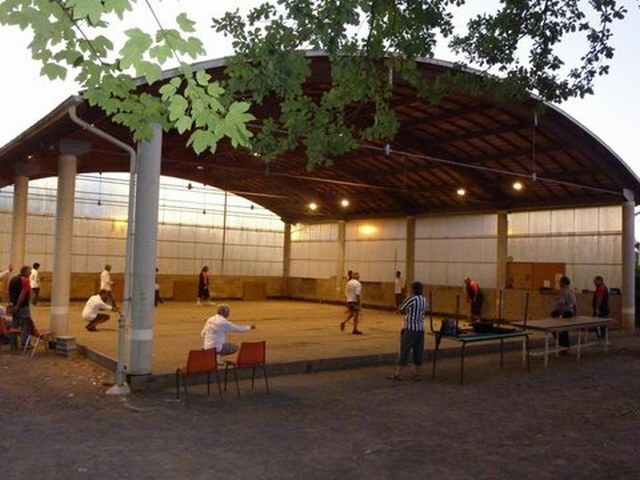 Outside of petanque, in everyday French, le carreau means “the square”. It can also be used to refer to square things such as window panes and floor tiles. It can also by extension be used to refer to tiled floors and to floors in general. Laisser quelqu’un sur le carreau is to lay somebody out on the floor, to deck him. Carreau can also refer to the diamonds in a deck of cards. Hence the name of the famous bronze boule from La Boule Intégrale, the AC — AS de carreau, Ace of diamonds. Hence also the name of one of the designs in Obut’s Tatou line of leisure boules— the “Card Carreau”. 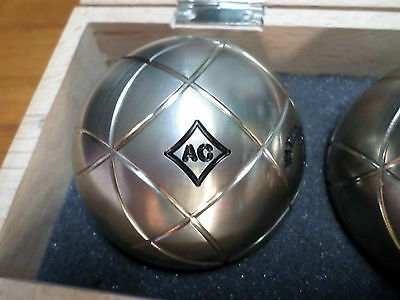 For a long time I could not make the connection between a square or a tile and a petanque carreau . Then I re-found the collection of Petanque Terminology that Jeff Widen (of the Detroit Petanque Club) had assembled. The origin of the term is thought to have come from the fighting expression “rester carreau” – “to remain on the spot, to be laid out cold.” “Le carreau” means the “floor” (usually only applied to one that is either tiled or paved). The idea, I take it, is that when you rester carreau (“stay on the floor”) you drop like a rock to the floor and stay there. Which is what a thrown petanque boule does when it makes a carreau. A boule in front is a money ball. The expression “money ball” isn’t, I think, just a metaphor for “good ball”. I suspect that it means literally that a boule in front is worth money. 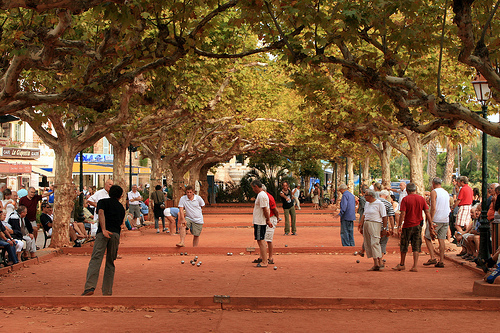 In France, where petanque is of course much more popular than in the U.S., it is common to bet on petanque games and to play for money. (America a few years ago produced a movie called “The Hustler” about a pool hustler. 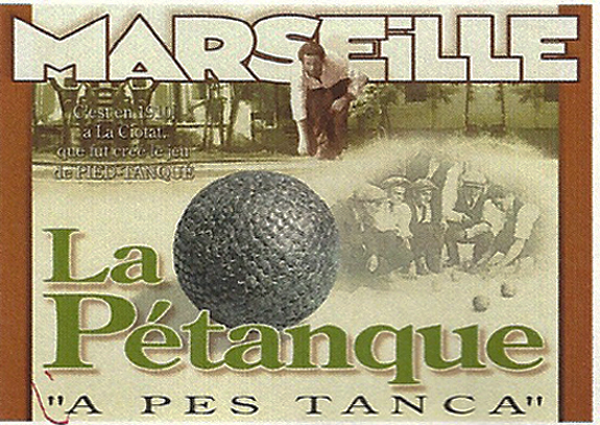 In 2013 France produced “Les Invincibles” about a petanque hustler.) So I think that in the expression “Boule devant, boule d’argent”, “money ball” isn’t at all a metaphor. It is referring to real folding money in one’s pocket. Finally, the old maxim has an unwritten flip-side. If if you don’t have any boules in front — if you leave the front open and the opposing team still has boules to play — you are leaving your money on the table and asking your opponents to walk off with it. If the front is open (le jeu est ouvert), you are inviting the opposing team simply to point right down the center and score as many points as they have boules. So when you’re asking yourself the old question — To point? Or to shoot? — you should always ask yourself whether, if you shoot, sucessfully or not, you will be leaving the front open. In club play or friendly neighborhood play, teams often play several games in a row. In English, we would say that after the “match” comes the “rematch” or “return match”. In petanque, in French, after the first game, the loser may propose la revanche. If after two games the teams are tied (one game to one game), the teams may decide to play a third “playoff” game, la belle (the beauty). I don’t know the origin of the term. In French belle means beautiful, but the expressions de belle and de plus belle mean (roughly) “even more” or “more than ever”. In any event, the terminology lends itself to petanque humor — gently risqué double entendre. Terminology – What is a mène (end, round) in petanque? 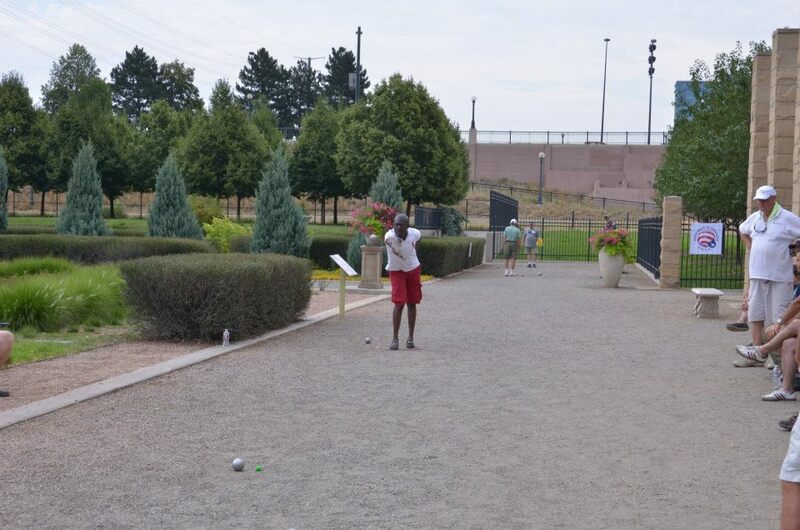 When all of the players have played all of their boules, we say that they have played a mène. A game is composed of whatever number of mènes is necessary for one of the teams to score a winning number of points. The most literal English translation for the French noun mène is “direction“, as in— During a mène the teams play in one direction, and then during the next mène they play in another direction. Probably the most natural American English translation of mène is “round” (as in: a round in a boxing match). The FIPJP’s English-language translation of its rules (supervised by Mike Pegg, an English umpire) translates mène as “end“, a word borrowed (like the word “jack” for the target ball) from lawn bowls. To an American the choice of the word “end” is unfortunate. Few Americans are familiar with lawn bowls and its terminology, and using “end” this way leads to clumsy locutions such as “the end of the end”. It also suggests that each mène is played from one or the other of the two ends of a marked rectangular court or lane (cadre). 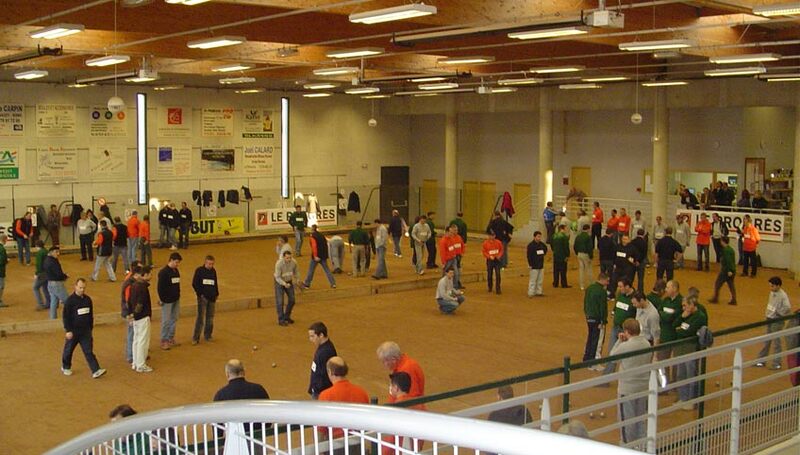 While this is often true of games played in organized competitions, it is not true of petanque in its most traditional form, which played on an open area (terrain libre) in a place like a village square or a public park. A case can be made for translating mène into English as frame. “Frame” is used, for instance, in American bowling and in bocce. (See Mario Pagnoni’s The Joy of Bocce, 4th edition, p. 34). In our opinion, the best way to deal with the word mène is to treat it as a petanque technical term and not to translate it at all. Every sport has its own specialized terminology for the subdivisions of a game. Tennis has sets, baseball has innings, boxing has rounds, basketball has quarters, bowling has frames. Why shouldn’t petanque have mènes? When discussing the game in English we can make one reasonable concession to English-language spelling conventions— we can omit the accent on the è and write simply “mene“. One of the frequently-asked questions about menes is “When does a mene start and end?” Another way of asking the same question is: “What kinds of events mark the start, and the finish, of a mene?” You can find the answer to that question HERE. The French word mène, when used as a verb, means to lead, to go to, to take to, to conduct. Cette porte mène à la cave. This door goes to the cellar. This door takes you to the cellar.